Thank you Michelle and Ms. Weatherford. As a middle school librarian, I can say YOU have made a tremendous difference in the lives of many, many people. I put your books into kids hands, teacher's hands.....it makes no difference--they just need the words. Thank you. Thank you. Michelle, I take the abecedarian challenge. Thank you for giving poets the chance to tackle a real challenge. It's so good to see TLD back in action. 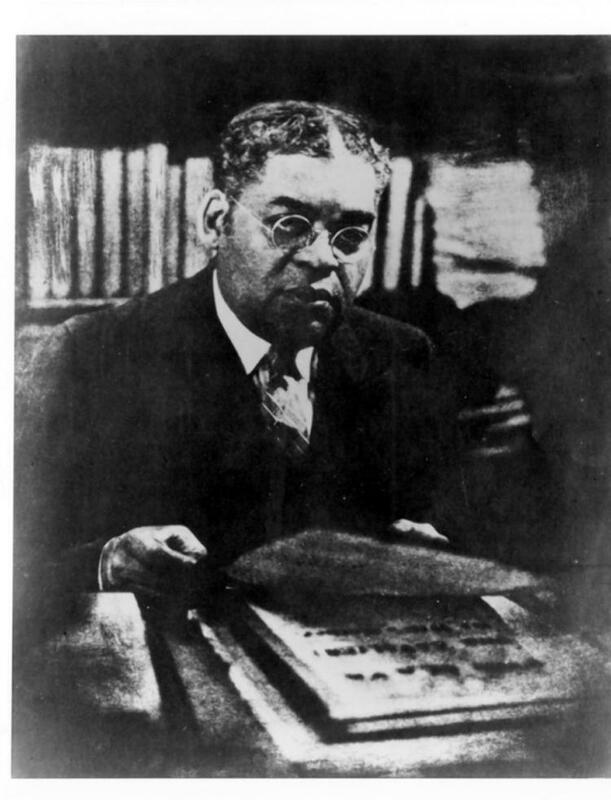 This is a fascinating and inspiring interview in so many ways - both hearing your story, Carole, and also hearing you talk of Arturo Schomburg's story. And that Epitaph is rousing! Thank-you for sharing, Michelle. You always ask insightful questions. This post warmed my heart. So many wonderful nuggets of wisdom. My favorite may be the George Washington Carver quote. It's a delight to read about Carole and her contributions to literature! Wonderful interview--thank you Michelle and Carole! 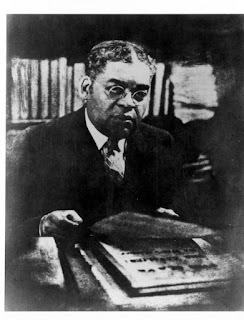 Going to put Schomburg's story on my to-read list. I have loved Carole's books for many years. Thanks so much for all the sharing here. 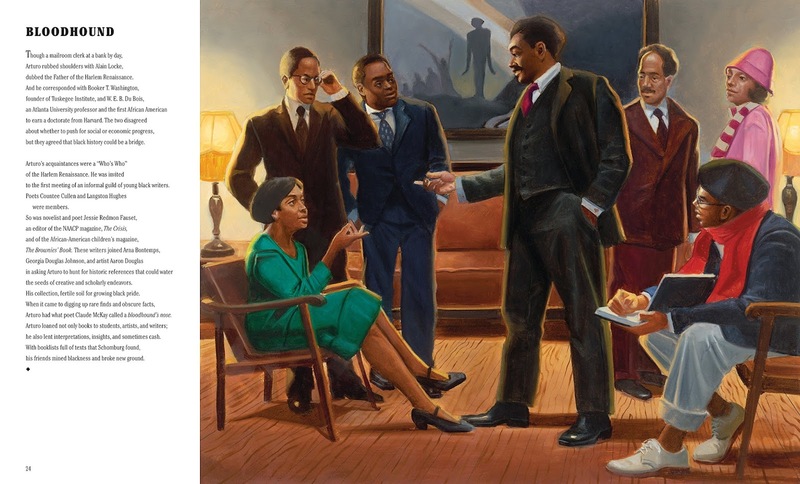 I especially like the George Washington Carver quote. He's one of those people I want to sit down with in heaven and have a long chat. It's been a crazy summer, but hopefully things are beginning to settle down and I might even be able to write an abecedarian! Finding stories from history that have been rarely shared is what I love most about Carole Boston Weatherford's books, and lately the beautiful illumination of her words by Eric Velasquez. Knowing stories from those who accomplished much is an important part of knowing our collective history. Wonderful interview, Michelle. I look forward to this latest book. Thanks for the challenge, too. Last year I discovered Carole Boston Weatherford at the Mississippi Book Festival. I bought and had her sign "Voice of Freedom: Fannie Lou Hamer." Before reading that book, I did not know who she was even having grown up in Jackson, MS. I was ashamed of that, but I took the challenge and taught all my students about who she was. This year, it will be Schomburg. I have tried the abecedarian form before. Quite the challenge, but I'll take it. Thanks for a fascinating interview and a fun challenge. Just out of curiosity, can one start anywhere in the alphabet and go from there or must the poem start at the letter A? Technically this kind of poem is supposed to go from A-Z, but for this challenge, you can start anywhere you want, Rosi. Even if it's just, say, L-P. Thank you for such an interesting and eye opening interview. 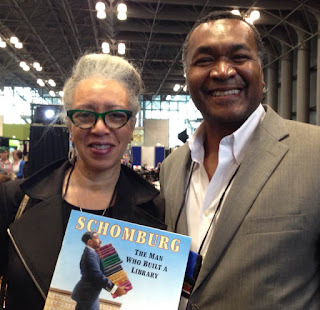 I loved learning about Carol Boston Weatherford and her new book about Mr. Schomburg. I can't wait to read her book. I happened to have an old abecedarian sitting around that needed revision, so thanks for this opportunity. Great interview. 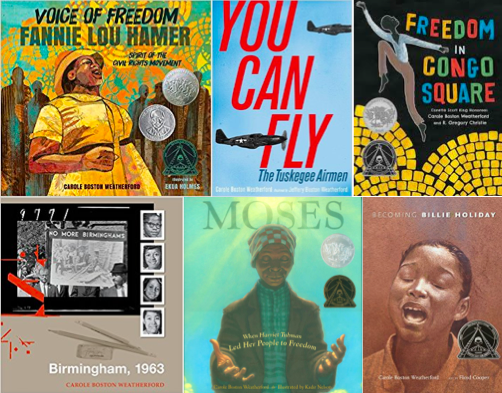 I am looking for more poetry and diverse books for my classroom collection so will definitely be putting her books on my list to read to my class this year. What an inspiring writer! I have many of her books, and now I know more about her. I can't wait to share Schomburg with my students!! Because Boston is her middle name I have always thought Carole hailed from my favorite New England city. Ridiculous, I know, but that's how my mind works! 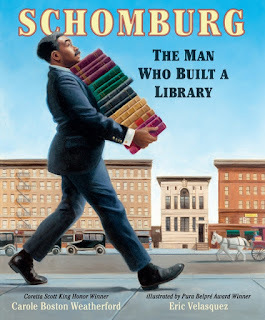 I'm so happy that public libraries are celebrated in this new book about Schomburg. They are the greatest resource a citizen has, yet are so often dismissed as a tax burden. As for the abecedarian poem, if a writer only includes a part of the total, how will the TLD committee be able to review it for inclusion in the next anthology? I *think* I understand your concern, Diane, but just in case, what I meant was that writers may use just part of the alphabet (as long as the letters are in sequential order). The poem itself, however, should feel complete— not like it broke off mid-thought. As for the future TLD committee, they will review the challenge as it was presented. Maybe think of it as a "modified abecedarian" challenge. How have I missed out on these books and on Carole. Thank your for introducing me! 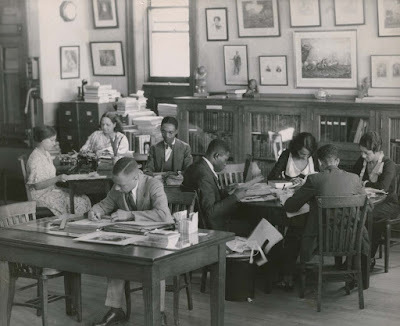 I can't wait till my next trip to the library to discover more. Thank you the wonderful interview! 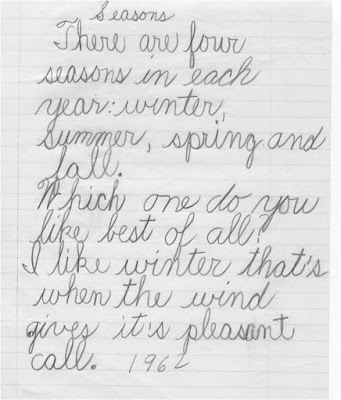 I love the fact that her father printed her first poems. It is so important to show our children that we love and support their passions and I think this illustrates that perfectly! An abecedarian poem sounds like so much fun! I can't wait to see everyone's poetry. Yes, thanks Michelle for this opportunity to thank a favorite writer, whose work has lifted and inspired. Ms. Weatherford, your words go into the world and make it a better place. I like your abecedarian challenge. I'm in a whimsical mood, so I may give it a whirl, just to cleanse the palette before my day's writing. THANK YOU, as always for a wonderful in-depth interview with Carole. I treasure her work and our friendship. This is a treat of a tease of an assignment. Count me in. I feel so fortunate to find this post, which is a short-course in moxie, missed facts of history & mighty manuscripts in the spotlight. 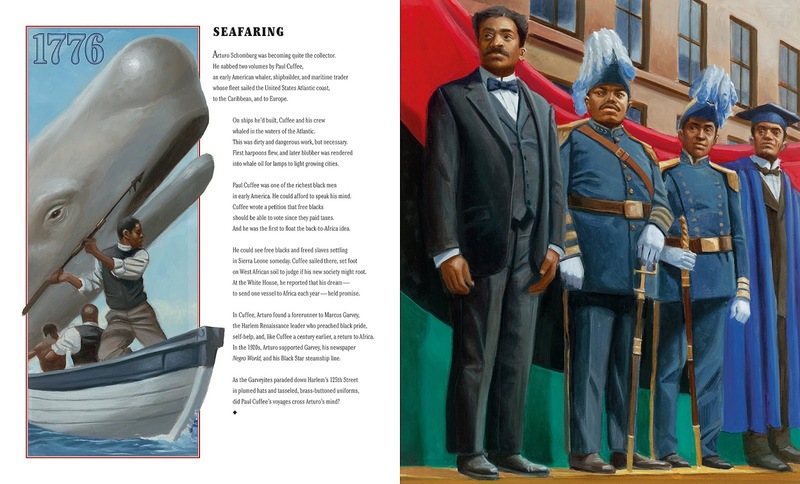 Putting my thinking cap on, the wheels are turning, thanks for this marvelous post Michelle, and for sharing Carole Boston Weatherford with us! blanketed Mount Kilimanjaro with African violets." and your "EPITAPH: 1938," have magnetically drawn me into your book, I look forward to reading it. From one nature/ garden, and humanitarian drawn kindred spirit to another, Thank you for all of your writing Carole Boston Weatherford! Thanks for sharing such an enlightening post, Michelle. Carole's work is quite impressive - and necessary. I have to say, I've never heard of any reference to Beethoven having African roots (a violinist friend of his was, but that's all I know)...and while I don't know a lot about most classical composers, I have studied Beethoven and Tchaikovsky quite a bit. I'll have to look into that! Thank you for highlighting this magnificent artist of words and imagery. What a legacy Carole's creating. WEATHERFORD POWER! Thank you! I hope it's nominated for the CYBILS. I love her work. What a rich life, a vibrant life story, and a power-packed book you have brought to us, Michelle. Despite some obstacles in life these days, I am celebrating summer ABC style thanks to Carole Boston Weatherford and your inspiration. I'm so thankful for a quiet morning to sit and read this inspiring interview! 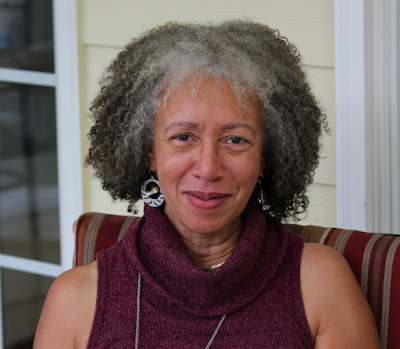 Thank you, Michelle, for hosting Carole Boston Weatherford. 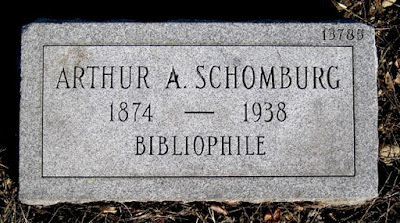 I have heard of Arthur Schomburg, but had no idea what a trailblazer he was! And I agree, an abecedarian is the perfect form for this month's challenge! 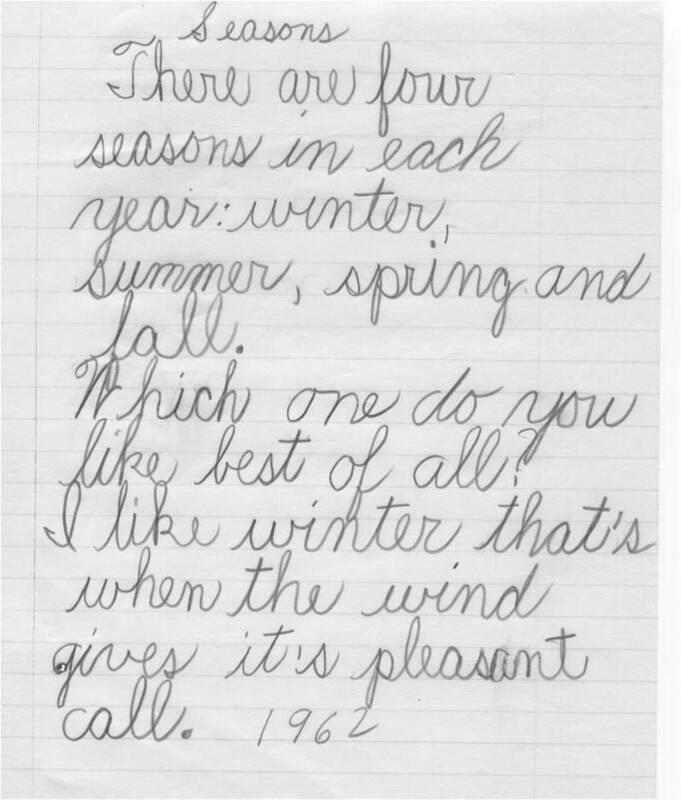 Michelle,Thanks for including this link in your POETRY FRIDAY comments. 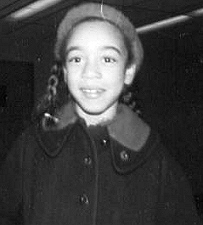 Carole Boston Weatherford has been a favorite author for many years, and I loved learning more about her! 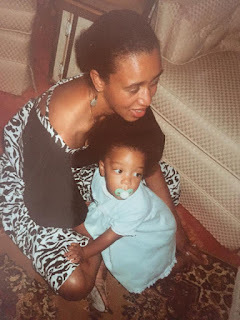 I've updated my post to link to your interview (I hope that's ok with you- if not, let me know).